As we enter summer lesson mode I sometimes depart from the traditional repertoire and allow my younger students to play something “fun”, which to them is a pop song or a work from a movie soundtrack. Usually, this takes some planning ahead and often times transcribing skills. Also, you have to have a working knowledge of popular music which I do not always possess. Recently I discovered the chromatik app, and this has revolutionized my access to music of this nature. This app is free to download and requires a free account to utilize. Once you do this you are allowed access to sheet music ranging from pop, rock ,country, movies, etc. Most of this is in concert pitch, but this is not a big problem in a private lesson setting. Additionally, the app has a classical library where you can search solo pieces in the public domain by instrument. 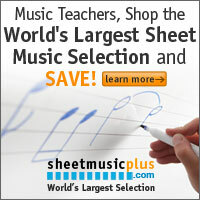 This is ideal for the occasional student who forget his or her music. Also, the app offers a real book function that simultaneously plays chord changes. This is a great feature for a student who does not have access to Aebersold play alongs. I am thrilled to have discovered this app and it has made summer lessons more enjoyable for all my students. I highly,recommend it!